Weather has taken a turn for the inclement all across the West. 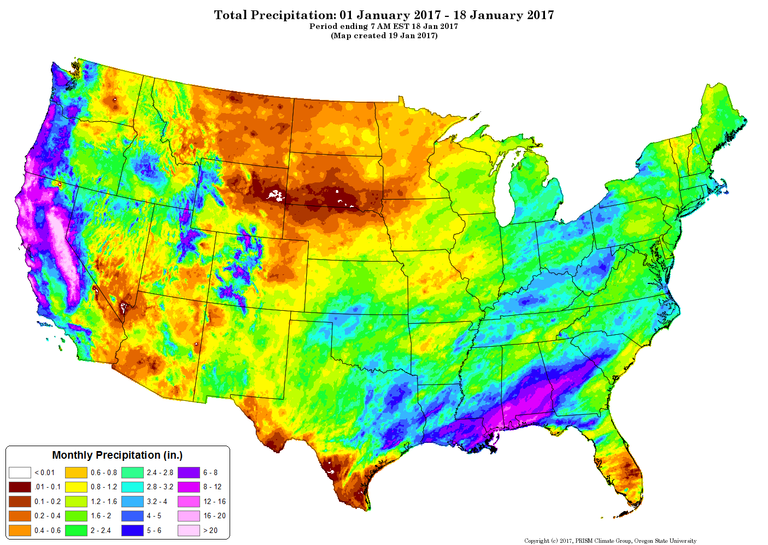 In early January, stormy weather crossed the continent from the Pacific Northwest to New England. Then another storm system froze Portland, forcing drivers to abandon hundreds of cars on impassable streets; swirled blizzards through the Sierras; and glazed the Great Plains in ice. Rain has drenched southern Arizona, and winter is not done with the West yet. As High Country News readers know, it’s hard to obsess about the West without also obsessing about the weather. Here’s a rundown of some of the most useful weather and climate websites and why they deserve a spot on this list. Happy prognosticating! 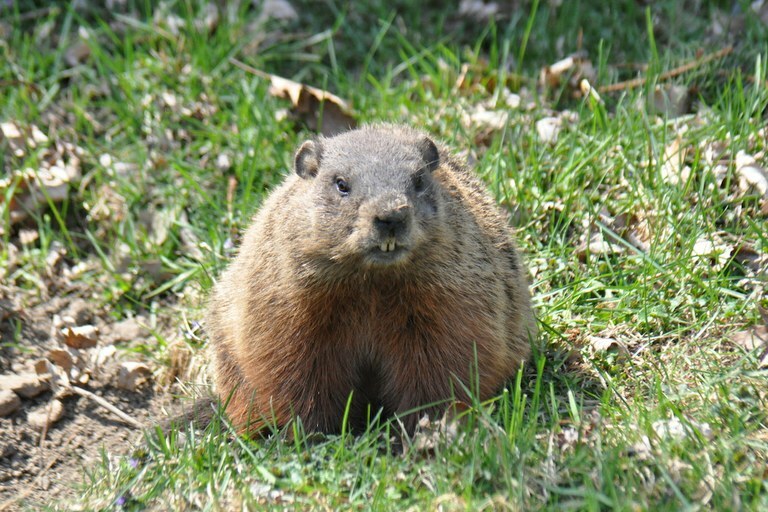 The longest-running and best-known national weather forecaster out there isn’t a groundhog. It’s the National Weather Service, established in 1870, when weather observations were reported by telegraph. Since then, weather forecasting technology has come a long way: NWS supercomputers can process 14 trillion calculations per second. Today, the National Oceanic and Atmospheric Association or NOAA oversees the NWS. According to the NWS website, each year approximately 5,000 employees collect some 76 billion observations and issue 1.5 million weather forecasts. The desktop version weather.gov has an unusual feature: On an interactive topographic map, you can select any location in the U.S., such as a mountaintop, a trailhead or a rural homestead and still get an accurate reading. That might not seem like a big deal, but most weather sources give predictions only for towns — and not necessarily all towns. If you are looking for the forecast for a remote location, other sites may redirect you to a larger metropolis instead of letting you pinpoint any spot. The NWS mobile app is great, too. 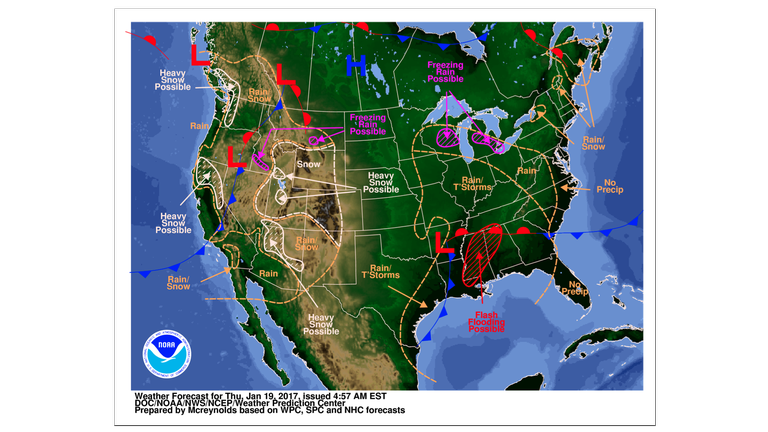 Stormy weather is in the forecast across the U.S. When you have weather questions about a specific location that’s in town, Weather Underground answers them. Weather Underground even answers questions you didn’t know you had: In addition to useful basics including temperature, precipitation, or wind chill, you get extras such as pollen count and moonrise. An almanac puts the day’s conditions in historical context, and even if you’re no night owl, the astronomical information might pique your interest. Sometimes it’s just fun to have a reason to say “waxing gibbous.” Weather Underground has a nice mobile app, too. Weather Underground gets data from the NWS and from an enormous network of community members operating personal weather systems, which you can view using the Wundermap. Groundhog Day is celebrated every year on February 2. A shadow means six more weeks of winter weather. The United States Drought Monitor provides fantastic visualizations of drought conditions for the whole country. The Drought Monitor won’t fill you in on details: You can’t predict whether your backyard creek will flow this spring by looking at the Drought Monitor, or whether it’s going to rain next Tuesday. But it does explain greater regional trends. If you are wondering whether northern California or the desert Southwest has recovered from drought conditions this year — or this decade — the Drought Monitor can tell you. Agencies, local communities, and tribes use this information to declare drought disasters, provide low-interest agricultural loans, help struggling ranchers, and more. A new U.S. Drought Monitor map is released every Thursday. Each map goes through an extensive vetting process by 350 observers across the country. The U.S. Drought Monitor is jointly produced by the National Drought Mitigation Center at the University of Nebraska-Lincoln, the United States Department of Agriculture, and NOAA. SNOTEL! It’s a hotel made from snow! No, it’s not. But don’t be disappointed — it’s something even more fascinating and definitely longer-lasting, courtesy of scientists at the USDA. The Snowpack Telemetry system is a network of data loggers scattered in snowy locations across the western United States. Climatologists hike, ski or helicopter to remote mountain places to install each setup, consisting of a large panel on the ground for snowpack measurements that’s surrounded by a gaggle of spiky measurement tools including precipitation gauges, temperature sensors and solar panels. In the West, where most water starts as snowfall, SNOTEL’s network is invaluable for agriculture, flood management, high country recreation, and more. We recommend jumping to the weekly reports, which provide roundups of the week’s weather and water news. If strange weather has gotten you curious about the long view, this website is a great resource for learning about climate change. The Regions & Topics tab in particular stands out for users who want to learn how climate change is affecting their communities. Say you pick the Northwest. You’ll get a quick overview of what climate change means for that part of the country—things like changing snowmelt and its effects on stream flow timing; sea level rise, erosion, and ocean acidity and their consequences for coastal resources; or upcoming forest mortalities—due to wildfires, insect outbreaks, and diseases—and how they will transform northwest forest by the 2040s. Links lead to greater details about what climate change means for the Northwest. Today, 13 different federal agencies ranging from the Departments of Defense to Transportation to Interior, as well as several federal agencies including NASA and the Environmental Protection Agency, collaborate on the program to understand climate change and its effects. One ancient weather prediction resource that’s been hard to retire? Ye olde aches and pains. Many people would swear that their joints acted up when the weather turned, notwithstanding research debunking this idea. One study from January 2017 concluded that people who suffered from arthritis or back pain were just as likely to feel symptoms on sunny days. Scientists undertook this study after their previous work with similar results was roundly criticized by disbelievers on social media. If you’ve got suggestions for other weather and climate websites, we’d love to hear about them in the comments.